Discussion in 'Iranian Defence Forum' started by TheImmortal, Feb 14, 2019. WARSAW — The Trump White House has accelerated a secret American program to sabotage Iran’s missiles and rockets, according to current and former administration officials, who described it as part of an expanding campaign by the United States to undercut Tehran’s military and isolate its economy. Officials said it was impossible to measure precisely the success of the classified program, which has never been publicly acknowledged. But in the past month alone, two Iranian attempts to launch satellites have failed within minutes. The Trump administration maintains that Iran’s space program is merely a cover for its attempts to develop a ballistic missile powerful enough to send nuclear warheads flying between continents. Mr. Pompeo is in Warsaw this week with Vice President Mike Pence to lead a meeting of 65 nations on encouraging stability in the Middle East, including by expanding economic sanctions against Iran. It is largely an appeal to European allies who, while continuing to oppose President Trump’s decision to abandon the 2015 nuclear accord with Iran, also agree that the missile tests must stop. The launch failures prompted The New York Times to seek out more than a half-dozen current and former government officials who have worked on the American sabotage program over the past dozen years. They spoke on the condition of anonymity because they were not authorized to publicly discuss the covert program. Tehran is already suspicious. Even before Mr. Trump withdrew last May from the nuclear accord, Brig. Gen. Amir Ali Hajizadeh, the head of Iran’s missile program, accused American and allied intelligence agencies of turning their campaigns of “infiltration and sabotage” to Iran’s missile complex from its atomic infrastructure. The C.I.A. declined to comment on the sabotage efforts. Government officials asked The Times to withhold some details of its reporting, mostly involving the identities of specific suppliers to the Iranian program, because the effort is continuing. Because there are so many things that can stymie a launch — from bad timing to bad welding to bad luck — some of Iran’s troubles, aerospace experts warned, could well be the result of normal malfunctions. But the recent rise in failures suggests the effort to subvert Iran’s space launches and missile test flights, and the resulting flows of forensic information needed to lift performance, may now have intensified. The covert actions against Iran’s missile and rocket program are being taken through countries and companies that supply Tehran’s aerospace operations. French and British officials have joined the United States in calling for ways to counter Iran’s missile program. “We’re not going to have that happen,” Mr. Trump said. Long before Iran got serious about producing nuclear fuel for a future weapons program, it was on the hunt for powerful missiles. The spark was its long-running fear of Iraq. In the 1980s, Saddam Hussein’s forces shot waves of missiles at Iranian cities. Hundreds of civilians died, and Iran fired back with Soviet-designed missiles it acquired from Libya, Syria and North Korea. By the 1990s, Iran was importing a North Korean missile known as the No Dong, which it renamed the Shahab-3, or Shooting Star-3. The missile could hurl warheads about 800 miles, far enough to hit Israel. 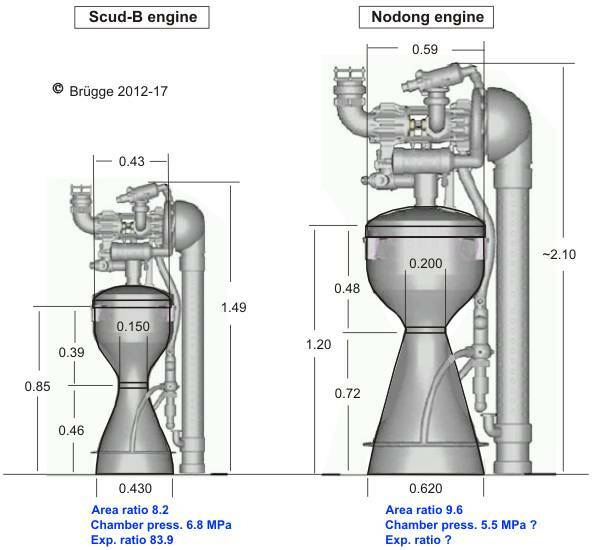 The No Dong’s powerful engine — seven feet long from nozzle to fuel pumps — eventually became the first-stage propulsion unit for most of Iran’s long-range missiles and for all of its space launchers. After the 2003 American-led invasion of Iraq, Washington and its allies stepped up efforts to thwart Tehran’s missile and nuclear ambitions. By 2006, the United Nations Security Council demanded that Iran stop enriching uranium, a main fuel of nuclear weapons. Iran’s refusal prompted the imposition of sanctions that banned the import of parts, materials and technologies for manufacturing nuclear fuel — and for building missiles. Under Mr. Bush, two covert programs against Iran rose in tandem: one focused on nuclear materials, the other on missiles. The C.I.A., with help from the National Security Agency, searched for ways to subvert factories, supply chains and launchers. American military officials urged Congress to put more money into programs they obliquely hailed in open testimony as “left of launch” techniques — so called because they rely on sabotaging launchers before they are fired. In Iran’s case, that meant identifying the networks of suppliers and subcontractors who sold aerospace parts and materials to Tehran. The United Nations sanctions meant Iran also relied increasingly on black markets and shadowy middlemen — targets the C.I.A. found comparatively easy to penetrate, according to two former officials. President Barack Obama quickened the clandestine war with disruptions aimed not only at missiles but also at a newly emerging target — space launchers. By definition, rockets loft satellites into orbit, and missiles fire warheads though the fringes of space to hit remote targets. Mr. Obama’s first secretary of state, Hillary Clinton, held that the development and testing of one class of launcher could advance the other. Some rocket specialists have challenged such arguments, saying that whatever overlap exists is too small to be significant. For its part, Iran insists that its satellite launches have no military value and that it seeks no nuclear weapons. When Mr. Pompeo arrived at the C.I.A., there was relatively little nuclear activity underway in Iran. Most of Tehran’s centrifuges had been dismantled under the 2015 agreement, and 97 percent of the country’s nuclear fuel had been shipped to Russia. But Iran had ramped up its missile and space program. Mr. Pompeo immediately focused on the supply chain for rockets and missiles, a world he knew intimately. He had graduated from West Point with a degree in mechanical engineering and founded, with classmates, Thayer Aerospace, named for a famous superintendent of the military academy. The company made partsfor Boeing, Lockheed and Raytheon. Mr. Pompeo understood what happens when aerospace parts are produced with less than extreme precision. From 2011 to 2017, he served in Congress, including on the House Intelligence Committee. When he got to the C.I.A., he pressed to reinvigorate the sabotage program. It was, a former official said, an obvious target. It can take years to “seed” a foreign aerospace program with faulty parts and materials. And typically, it is impossible to know if the bad technology is ever installed in particular launchers. “Iran hides its failures and exaggerates its successes,” said Shea Cotton, a chronicler of Iranian launchings at the James Martin Center for Nonproliferation Studies, based in Monterey, Calif.
Geography also affects learning about the repercussions. Launchings from North Korea are relatively easy for Washington to monitor because the peninsular state, about 100 miles wide at its waist, is surrounded by American bases, fleets, radars and allies. Sometimes missiles fall into the sea and are recovered by the United States or its allies. By comparison, Iran is twice the size of Texas, and missile components can fall into its own territory. But the numbers suggest that the left-of-launch campaign against Iran has taken its toll. Iran first succeeded in putting a small satellite into orbit in 2009, just as it was ramping up its nuclear program. It did so again in 2011, 2012 and 2015. Jonathan McDowell, a Harvard astronomer who publishes “Jonathan’s Space Report” and specializes in orbital monitoring, recently noted that those four launches were the only clear successes out of a dozen. At least once, an Iranian rocket exploded on the launchpad, leaving damage so extensivethat satellites passing overhead could make out blast scars, burned wreckage and a blackened rocket transporter. Iranian officials kept silent on that disaster, in 2012. So far, Iran has failed to successfully test the newest generation of its satellite launcher — a bigger, more powerful rocket known as Simorgh or Phoenix. The vehicle, roughly nine stories tall, debuted in April 2016. Iran wrapped the test flight in secrecy, and sky monitors know for sure only that no satellite went into orbit. In January, Mr. Pompeo warned Iran against launching a Simorgh that spy satellites had detected was in preparation. After it lifted off, on Jan. 15, Iranian officials declared it suffered what they called a third-stage failure. The secret American program parallels a cybersabotage effort that was aimed at North Korea, which suffered an embarrassing series of missile failures in 2016 before suspending its flight tests a year later. North Korea has since developed solid-fueled missiles — an effort that Tehran is now racing to match. Solid fuels are not as vulnerable to covert meddling as the welters of hardware behind liquid-fueled missiles. In Warsaw, Mr. Pompeo is expected to repeat his warnings about the danger of Tehran’s missile program and to press European and Arab states to expand sanctions and missile defenses aimed at Iran. There will almost certainly be no reference to the United States’ secret sabotage efforts. But when Mr. Trump spoke at the Pentagon last month, he said nothing about Russia, China or North Korea as missile threats. He spoke only of Iran. General Hajizadeh denied that American have had any success in sabotaging Iranian missile program, and said if they weren't lying, they wouldn't beg to negotiate on our missiles. Yet, he added that we used their sabotage program in our favor, and this is a huge scandal for them. Elsewhere General Bagheri said Iranian ballistic missiles have the highest accuracy in the world, with Khorramshahr missile hitting it's target from 1300km away with less than 1 meter error. Failures of SLVs were lilell due to lack of testing. It is a simple case of Occam's razor.